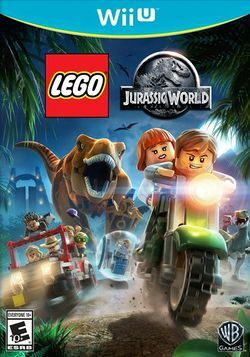 Lego Jurassic World is a 2015 Lego action-adventure video game developed by TT Fusion and published by Warner Bros. Interactive Entertainment, which was released for Microsoft Windows, Nintendo 3DS, OS X, PlayStation 3, PlayStation 4, PlayStation Vita, Wii U, Xbox 360, and Xbox One. It adapts the plots of all four films in the Jurassic Park franchise. The game was released on 12 June 2015 to coincide with the theatrical release of Jurassic World. This page was last edited on 4 August 2016, at 15:00.